There are a variety of retainers that can be used at the end of orthodontic treatment. The best type of retainer for your patient will depend on the type of treatment, any post-treatment corrections needed, and the patient's preference. Retention protocols can vary from patient to patient and according to the type of retainer used. It's up to you to determine the best protocol for your patient. For further information on determining retainer type and wear schedules, see our article on Retainers & Retention. We hope you found this information helpful! Our Help Center is filled with more information like this on the topic of clear aligner treatment. Check it out! 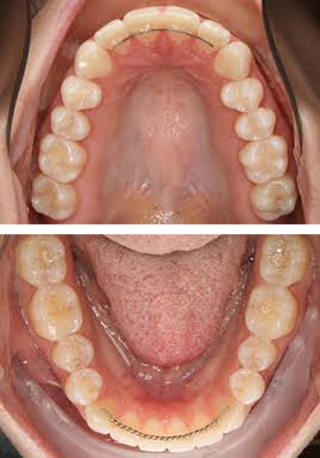 ClearCorrect can create clear retainers based on PVS impressions, intraoral scans, or (if applicable) a previous step. 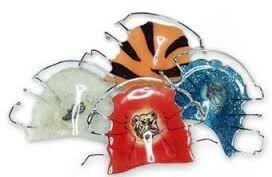 Multiple sets of retainers can be ordered together at a discounted price. 1. 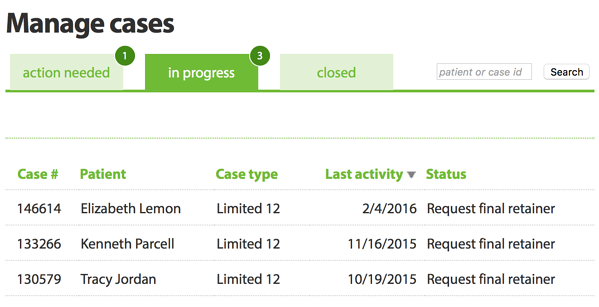 Find the case under the in progress tab on ClearComm. 2. Click on the case to go to the case page. 3. Click the red REQUEST RETAINER button. As specified in the terms & conditions, the first set of retainers ordered for any open case is free, if it is based on a previous step and the case has never been closed. Note that ordering a retainer will close the case, so make sure you're satisfied with the treatment outcome first. 1. Find the case under the closed tab on ClearComm. 2. Click the case to go to the case page. 3. Click the red REQUEST RETAINER button. We hope this information was helpful to you! Check out our Help Center which is filled with helpful articles on clear aligner treatment. Tongue thrust (also called reverse swallow or immature swallow) is the common name of orofacial muscular imbalance, a human behavioral pattern in which the tongue actively protrudes through the anterior incisors during swallowing and speech due to a neuromuscular imbalance. This is what is considered by most professionals as a true tongue thrust. When the tongue passively protrudes between the anterior teeth while the tongue is at rest (as in the case of an overly–large tongue), this is a postural phenomenon, or a pseudo-thrust. Doctors treating patients with large anterior spacing and extreme proclination should consider the size of the tongue or the tongue thrusting habit prior to commencing treatment. When considering the correction for an anterior openbite, it is imperative to determine the actual etiology, i.e. is it an environmental result of a large tongue, or a result of a hyperactive tongue thrusting against those teeth? Proper identification and correction of an anterior openbite problem will greatly increase the long–term success of the treatment and the stability of the retention. While referral to a speech therapist may help with a neuromuscular imbalance, correction of the environment or openbite to allow the large tongue to properly occupy the oral cavity without it applying excessive labial pressure against the teeth can be sufficient without the help of a therapist. Possible correction of an openbite can include clear aligners, ‘reverse-curve’ archwires, vertical elastics, or orthognathic surgery, depending upon the severity of the problem. A long-term retention protocol may be advised to increase stability of the correction. We hope you found this information useful! If you're interested in more like this, check out our Help Center. The following information is for reference when specifically dealing with dentoalveolar tooth movements with clear aligners and excludes all medical, functional, developmental and skeletal causes for open bites. An anterior open bite is generally defined as a condition where the upper & lower posterior teeth are touching when the patient bites down, but the anterior teeth are not in occlusion. An open bite can occur during transition from primary to permanent dentition, and is considered to be a temporary stage of normal dentoalveolar growth and development. 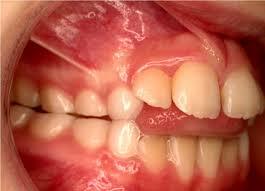 Anterior open bite, like most other malocclusions, can either be hereditary or have environmental causes and are usually a combination of both. Some conditions, such as TMJ degeneration, can manifest as an open bite. Factors like onset and disease progression can also come into play. Along with this, other factors such as habits, mode of respiration, tongue size, smile display are all considerations—each of these a complex topic in itself. If an anterior open bite is present before, during, or after treatment with clear aligners, a comprehensive evaluation must be completed in order to properly determine the reason for the openbite, whether it is due to a dental, skeletal, muscular, or other etiology; only then can the appropriate course of treatment be applied. Some dental open bites can be corrected with clear aligner treatment, pending examination and diagnosis to determine eitology of the open bite. When you submit your case, be sure you provide your technician with your treatment details for how you plan to correct the anterior open bite in the "Additional instructions" section. We hope you found this information helpful. Find more information like this in our Help Center. Rotations, extrusions and intrusions are some of the more difficult movements to achieve with clear aligners. 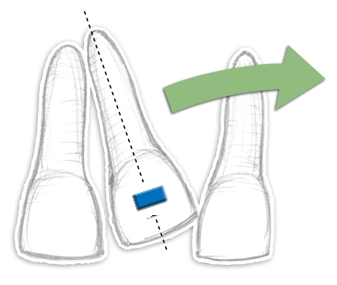 Here are some basic principles to observe when attempting to rotate, extrude or intrude a tooth during clear aligner treatment. 1. A tooth that’s not upright will not extrude or intrude easily. 2. Place a horizontal engager and tilt it upright first. 3. 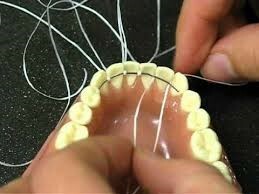 Make sure there is adequate interproximal space; use IPR where appropriate to make space and prevent collisions. 4. Then extrude or intrude slowly. 5. If an extrusion doesn't work, try button & elastic auxiliaries. 1. A tooth without space won't rotate. 2. 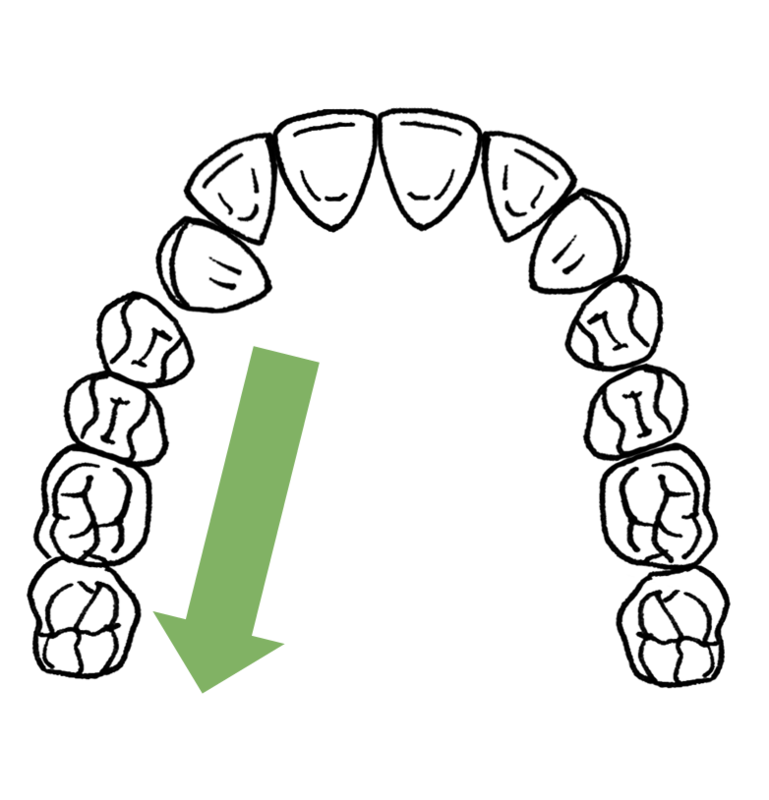 Give it adequate space to move/rotate without restriction by adjacent teeth. 3. 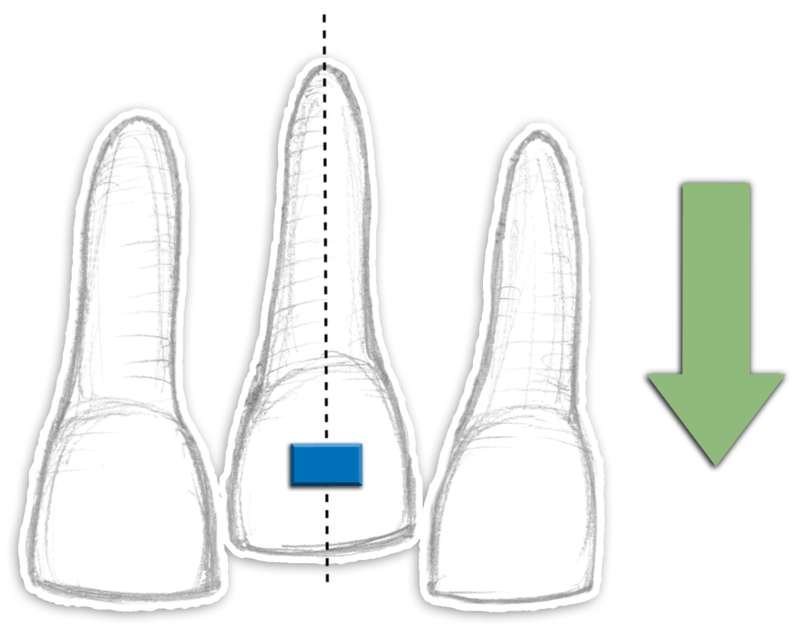 Then place an engageron the tooth to be rotated and rotate it. 4. If you're having trouble with rotations, see our article on troubleshooting rotations. We hope you found this information helpful. Want more information like this on the topic of clear aligner treatment? Check out our Help Center which is filled with useful information. We sent out a survey recently asking doctors for their questions about the use of auxiliaries in clear aligner therapy. Our Clinical Advisor, Dr. Ken Fischer, has the answers. What are the main indications for auxiliaries, what are their limitations and side effects? Auxiliaries enhance the force applied by aligners. 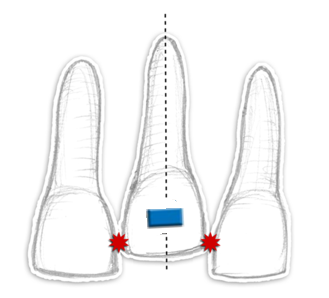 When a tooth is not tracking with the aligner, the auxiliaries can direct pressure in the desired direction. Limitations and side effects will vary depending on the type of auxiliary and how it is applied. How can I predict when I may need to use these systems? I would like to be able to tell a patient that these items may be used in their treatment. Predicting the need for auxiliaries gets easier with experience. You can tell your patient that auxiliaries may be necessary when you see difficult movements such as extreme rotations, extrusions, and inter-arch corrections. 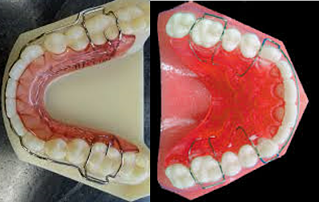 I would like to learn how to incorporate the use of auxiliaries into my cases to provide the best treatment outcomes. Do you have any recommendations? The first step is to learn to identify difficult movements in the treatment plan. For details on how to use auxiliaries to enhance these movements, check out our article in the Help Center on this topic. How do you best use pliers in a situation where a tooth is not moving as predicted? Pliers create dimples in the aligners to nudge the teeth with a little extra pressure. They can be surprisingly effective. Before applying dimples, make sure there is adequate space on the opposing side of the aligner for the tooth to move into. Are elastics used when the clear aligner fails to move the tooth or is it sometimes incorporated into the original treatment setup? One must remember one of the basic tenets of clear aligner treatment: when a tooth is properly/fully encased in the plastic aligner material, it cannot be moved except by the forces built into the aligner. Class II elastics, Class III elastics, and vertical elastics can be used with aligners to effect dental arch (skeletal) movement, not individual tooth movement. This type of elastic application should be incorporated into the initial treatment plan designed by the doctor and can be included in "Additional instructions" when submitting a case. Elastics can be used to extrude individual teeth into occlusal gaps in the aligner caused by the teeth not moving as expected. I have difficulty adhering buttons to crowns, any suggestions? Assure PLUS All Surface Bonding Resin from Reliance Orthodontics is great for bonding to crowns. You may also want to consider using micro-abrasion to roughen the porcelain surface. 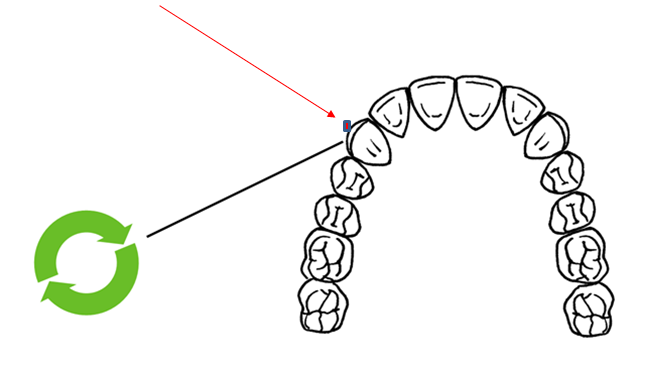 I have trouble with not being able to have elastic hooks or button cutouts in aligners. What do you recommend? Since cutouts are not offered at this time, an alternate option is to create your own cutouts with a hole punch or coarse football diamond bur. If the patient declines this option, then you may want to explain the potential consequences of reducing the efficacy of the aligner treatment. I have trouble getting the button to stay on the aligner. 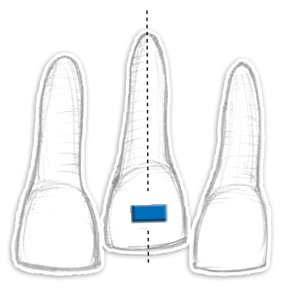 Due to the flexibility of the aligner material, it can be difficult to keep buttons bonded to the aligner material. You can try micro-abrasion to roughen the aligner surface before bonding. Can you develop a way to use elastics? If the doctor desires to use Class II or Class III elastics as treatment auxiliaries, ClearCorrect recommends aligner treatment where the treating doctor uses elastics and buttons bonded to the teeth, since cutouts or notches in the aligner material are not offered at this time. This technique is more efficient, effective, and practical for the doctor. Could you use ramps on upper anteriors to help open closed bites? ClearCorrect does not build ramps into its aligners. There is no credible research validating the clinical effectiveness of built-in ramps. 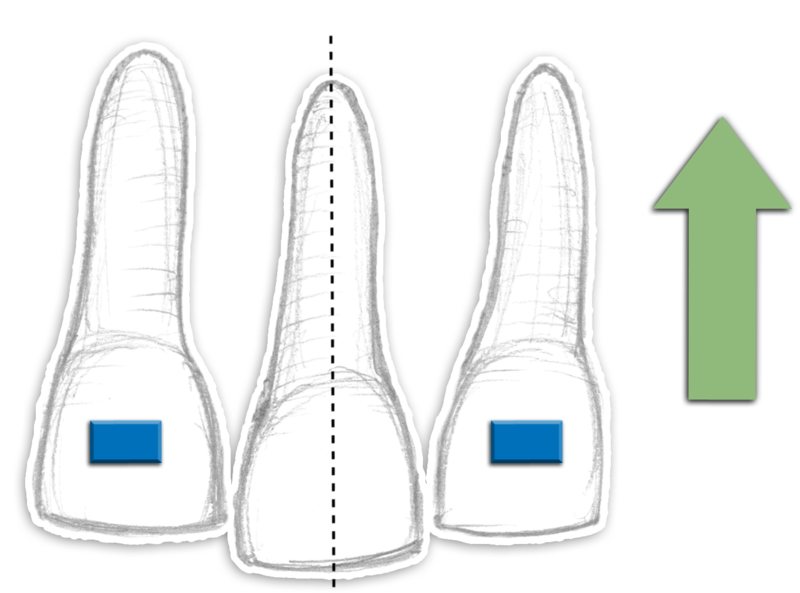 Incisor intrusion is a more effective and predictable technique for improving deep bites. With ClearCorrect aligners, how extreme can you go in the overall treatment plan? ClearCorrect is an advanced system of clear aligner therapy that uses the latest digital technology, design and clinical approaches. ClearCorrect aligners have been used to treat a wide range of types of malocclusion, ranging from simple cases to advanced extraction and surgical cases, alone and in conjunction with other techniques. Success will depend on the expertise of the doctor, the compliance of the patient, and biological factors. A big thank you to all the providers who answered our survey! Check out our Help Center for more helpful information on clear aligner treatment. 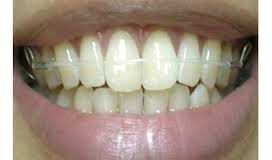 It is not unusual for a patient undergoing orthodontic treatment with clear aligners to have one or more missing teeth. One of the unique features of treating with aligners is the opportunity for the doctor to provide a virtual pontic to fill in the missing space. A pontic is defined as an artificial tooth on a fixed dental prosthesis that replaces a missing natural tooth, restoring its function and esthetics. It usually fills the space previously occupied by the clinical crown of the missing tooth. A virtual pontic is a tooth-shaped placeholder in an aligner created in the space left by missing teeth. 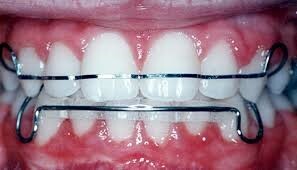 Since the aligner does not cover a tooth in this location, there is a resulting void in the aligner. Fortunately, this void can be painted or filled to create the appearance of a tooth in that space. 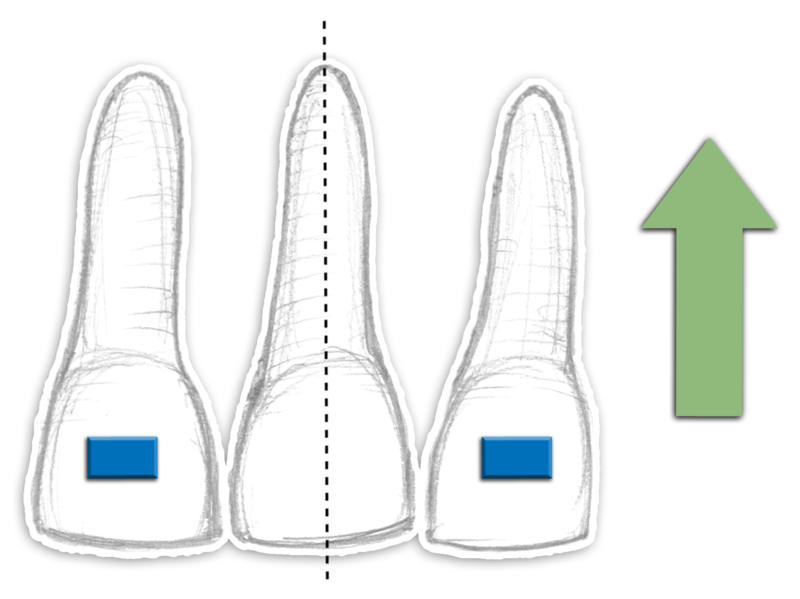 For larger spaces in the posterior areas, a bar is often added to improve structural integrity, instead of a tooth-shaped void. You can request a virtual pontic at the time of case submission, in the "Additional Instructions" section. The technician will need to know whether you want the space filled by the pontic to close as the teeth move, or be maintained for future restoration. Pontics are represented on treatment setups as translucent teeth. The inside of the void can be coated with pontic aligner paint (such as Perfect-A-Smile,available in the ClearCorrect Store). This light cure paste comes in varying colors which can be mixed to approximate the shade of adjacent teeth and applied by the doctor or staff prior to delivery of the aligners. 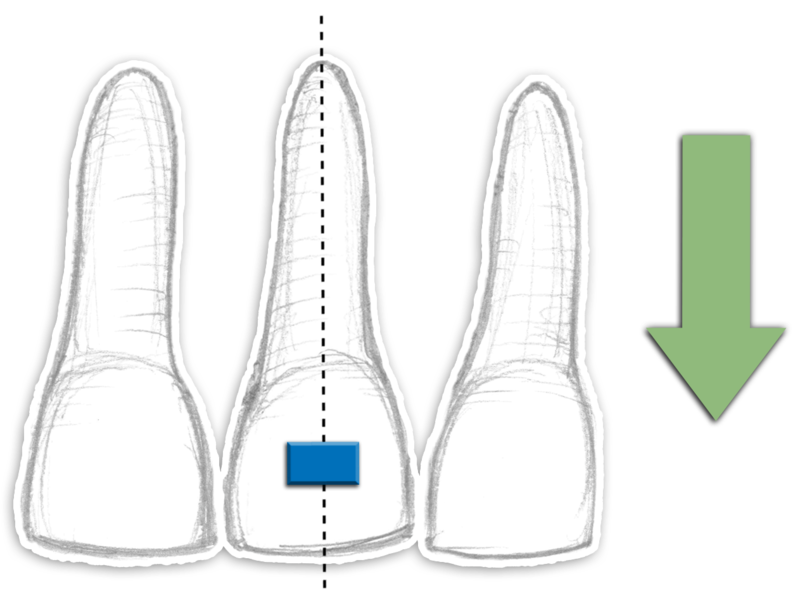 This technique is only necessary while the space resembles the shape of a tooth. Instructions for applying Perfect-A-Smile are available in PDF and video formats. Instead of painting the inside of the plastic aligner, the pontic void can be filled with a tooth-shaded, vinyl polysiloxane (PVS) adhesive material. While this technique can look good, the material is prone to falling out of the aligners. We hope you found this information helpful! You can find more like this in our Help Center. Reviewing and approving the treatment setup for your patient is one of the key factors in planning treatment. This is where you get to map out the treatment outcomes desired by you and your patient. 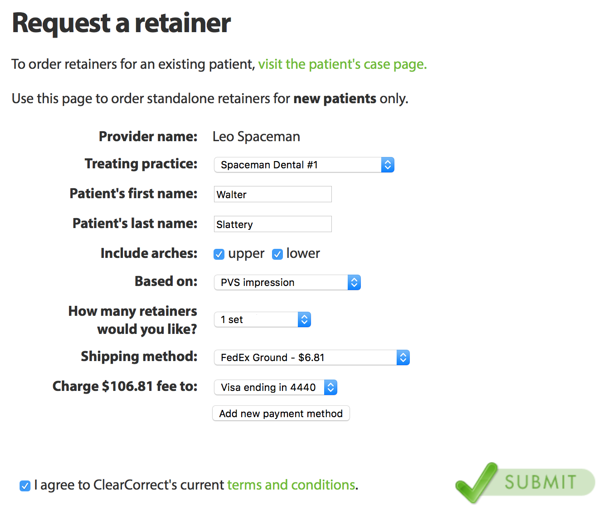 ClearCorrect's role is to help you create the treatment setup you want for your patient. We can offer recommendations for the course of treatment, but those recommendations are not absolute. It's up to you to make any necessary changes to customize an ideal treatment plan for each individual patient. From now on, treatment setups for new cases will be displayed as a web page, instead of as a file in Adobe Reader. This reduces crashes, works on mobile devices, and lays the groundwork for future improvements. Tooth charts are missing right now, but we expect to add them soon. You’ll still need Adobe Reader to view setups that were created before this release. If you have any trouble, first make sure your browser is up to date and then let us know at support@clearcorrect.com. A treatment setup contains 3D models for each step of the treatment, representing the tooth movements that you prescribe. If you approve the setup, these models will be printed and used to manufacture the aligners. 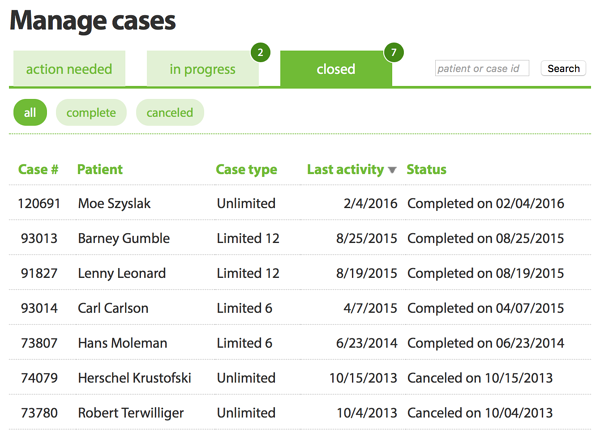 Treatment setups appear in the case list on dr.clearcorrect.com when they're ready for your review. Click a case in the list to visit its case page. You'll find the treatment setup near the top. Click the treatment setup icon and your setup will open in a web browser window. New web-based setups should work in current versions of Internet Explorer, Chrome, Safari, and Firefox for Mac, Windows, iOS, and Android. A link to a shareable version, which hides the patient's first name and evaluation button is also available for new setups. Click "Share link" and copy the URL that is displayed. This can be pasted into an email or text message for sharing with patients or colleagues. You’ll want to start by confirming the accuracy of the model and bite articulation. Put the timeline in the starting position and tilt the model up to check for gaps between the upper and lower incisors—this often indicates an improper bite. From the front, check the midline relationship. 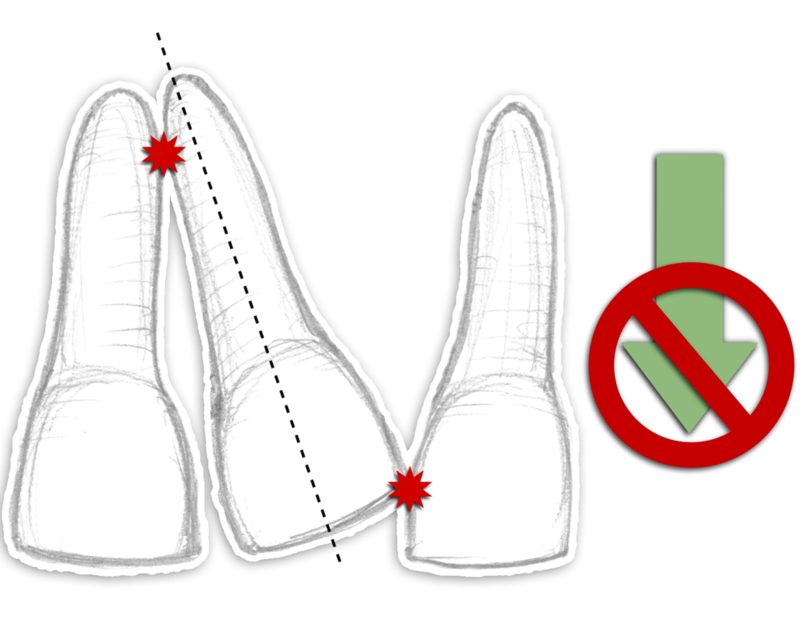 Use the right and left views to verify the overjet, overbite, canine, and molar relationships. Use the occlusal views to confirm that the impressions or intraoral scans accurately captured the shape of the teeth. If you’re satisfied with the starting model, carefully review the subsequent steps to verify that the planned tooth movements are safe and effective.Verify that any recommended IPR and engagers are sufficient to achieve your goals. Bear in mind that these models really represent the shape of the aligners that you will be given—no one can guarantee what the teeth will do in real life. ClearCorrect’s technicians will attempt to follow your instructions as closely as possible. As the prescribing doctor, you are ultimately responsible for your patient’s orthodontic care. When you’re done reviewing the setup, click EVALUATE to return to the case page. If you're happy with the treatment as shown, click APPROVE to accept it and pay for the case, then click SUBMIT. 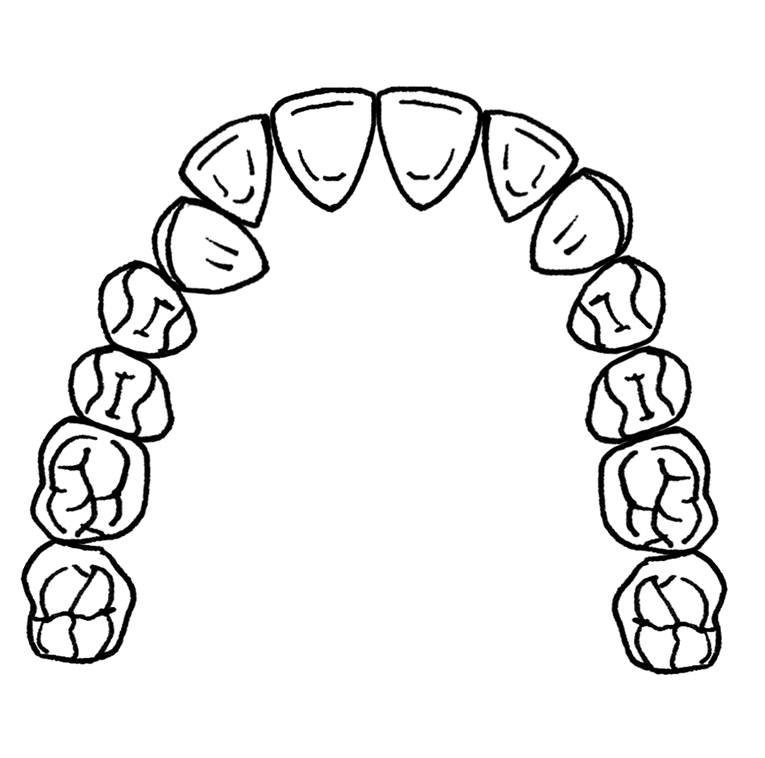 When we get your approval, we'll start manufacturing the sequence of aligners represented in the treatment setup. If the model looks inaccurate, you want to move the teeth differently, or you want to cancel the case, click DISAPPROVE and let us know what you want to do. Our technicians will do their best to make any changes you request and upload a new version for your approval within a few days. This also is where we can adjust any of your preferences related to IPR (which teeth, when and how, no IPR, expansion, limited IPR, limited expansion, etc.) or engagers based on your specifications. You will receive an email notification once your revised treatment setup is ready to be viewed, either right away, at the end of the day, or at the end of the week, depending on often how you've asked to receive notifications. The ideal time to look at your treatment goals is when you're submitting your case. Beginning with the end in mind is the best way to get the treatment plan you want for your patient. Submitting more information leads to receiving better treatment setups. Our technicians are good, but they're even better with your input. We will work with you to get the treatment plan you desire. Specific instructions to address any of the above problems can be given in the Additional Instructions sections when submitting a case. We hope this information helps you submit & evaluate your future cases! Support for mobile devices—approve your setups any time, anywhere. A link to a shareable version, which hides the patient's first name and evaluation button. Crisper, more responsive 3D graphics. No more crashes caused by Adobe Reader updates. You won’t need to do anything different—you’ll still click the same icon to view setups on the case pages, and approve or decline them like you do today. The setup should work in the current version of Internet Explorer, Chrome, Safari, and Firefox. If you're not sure whether your browser is up to date, you can verify that here.